Let's face it: If you love craft beer chances are you fantasize about brewing your own. Luckily, it's not that hard. And growing your hops is even easier. First thing? Buy hop rhizomes. Rhizomes are pieces of a hope plant that sprout into a new plant. Rhizomes are available early in the spring, when hop farmers dig them up and sell them to suppliers. You can order them online or check with your local brewer or specialty garden store. Like its relative (cannabis) you only get actually hop production from the female plant, which sprout cones, so if you're growing from seed be warned of the 50/50 chance you'll have nothing to brew your beer with. Plenty of vertical space. Hops grow on bines that stretch 10-25 feet or longer into the air. 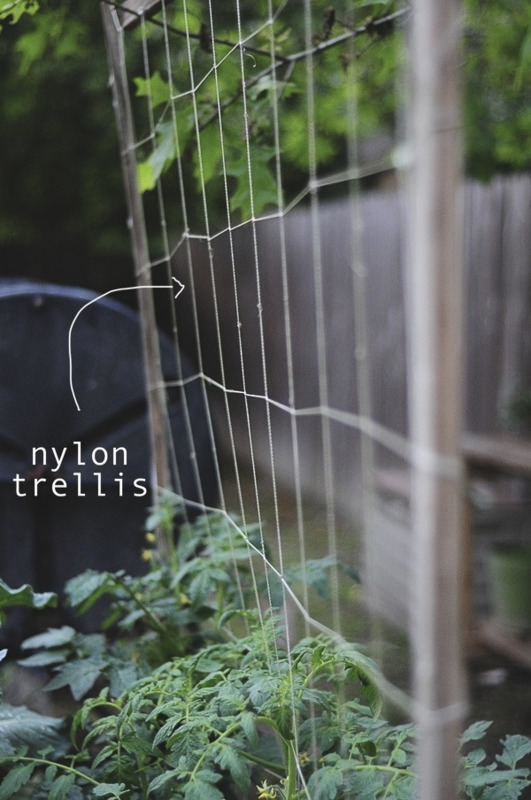 To grow you will need a trellis; be creative, as long as it's vertical, your hops will grow. Think, the taller, the more your plant can produce and expand. You can lean a tall trellis against the roof. If you'd rather not use your roof to prop up the bines, the trellis can instead be propped against a pole or another structure close to the garden - anything that the hops can wind on around and upwards. Well-drained soil; if you often see water standing over an area after a heavy rain, that means the soil there doesn't drain well. Remember, you don't need to own a farm to grow hops, even two 6-8 foot plants will be able to produce enough for at home small batch beer production - use your garden, deck or patio (or borrow a friends garden). Be creative; Your hop-growing trellis can be almost anything vertical. To plant, first get the planting bed ready. Remove stones, sticks etc from your area and pull out any weeds. Fertilize the soil by raking in some manure, bone meal, blood meal or compost tea. These help plants grow healthy and strong by enriching soil with nutrients it lacks. Make sure the soil is loose and fertilized to a depth of at least one foot. Now, set up your . Dig a four-inch hole spaced 3ft apart and plant the hops (rhizomes) horizontally with the root side downwards. When the hops begin to emerge, they need to be 'trained' around the trellis you are using to keep them vertical. This can be done when the plants are about 6 inches in height; gently wrap the plant around the base, it will take care of the rest. Don't expect much more than a few ounces in the first year. In year two however, you'll be rewarded with half a pound - two pounds worth of cones. To harvest (towards late summer, early fall) give your cones a squeeze. You'll know they're ready if they give slightly. They'll have a paper-like feel and may be lighter in colour or slightly growing. Pick your hops, and leave the bines where they are. Some sap will drain down the plant and into the soil; and your plant will be ready for next summer's growing season. Dry your hops. It helps if you have a food dehydrator. Set at 110F and let dry until about 20% of it's 'wet' weight. You can alternatively set your oven on the lowest temperature (but this will require hours of monitoring) or set them outside out of direct sunlight for a couple of days. Move them around every 6 hours or so for even drying. When you split the cone it should be dry to the touch, with the petals breaking off easily. Now, they're ready for use. Your dried hops can be stored in the freezer until ready for use. Get brewing!